Dr. Burke is a Physics Professor at San Francisco State Univeristy in San Francisco, California. He has just produced a physics textbook entitled Physics, the nature of things with his coauthor, Susan Lea, who also teaches at S.F.S.U. His many interestes include biking, camping, hiking, rock climbing and sailing, among other things. Dr Burke Chopping Wood. 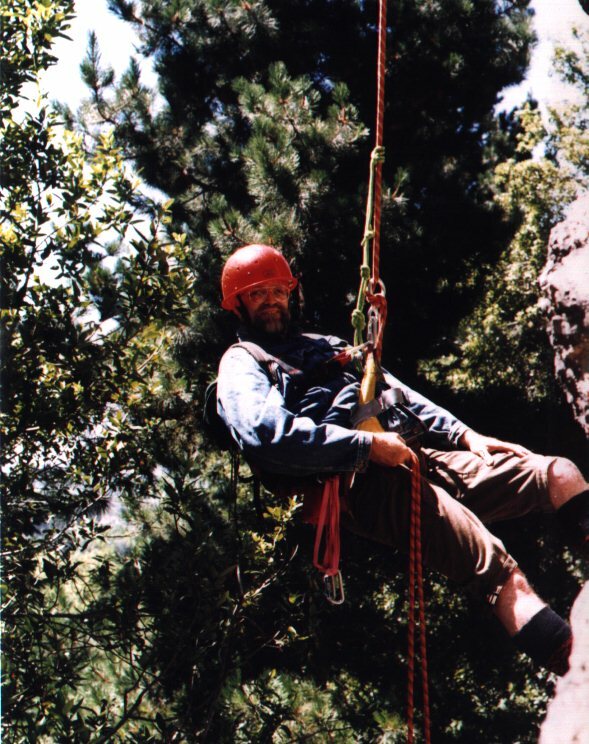 .................... Dr Burke Rock Climbing. Dr. Burke's book ... resume ... classes .... and message board.